Packing up for a kid-friendly hike in Calgary is a great way to spend a weekend afternoon, and there are lots of great places to do it. 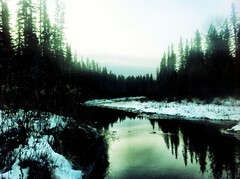 We already love Big Hill Springs, Glenbow Ranch and The Weaselhead. Now you can add Griffith Woods to the list. 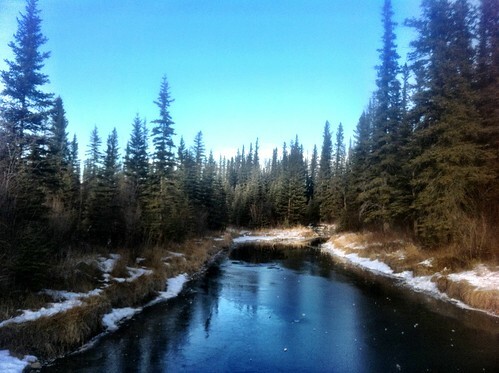 With more than 8km of trails in 93 hectares amongst the oxbows left behind by a meandered Elbow River, Griffith Woods offers a similar wilderness experience as The Weaselhead. 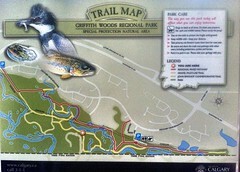 Griffith Woods Park lies along the banks of the Elbow River in the southwest part of the city. The park was created in 2000 and named after Wilbur Griffith who, with his wife Betty, donated a portion of their estate to The City of Calgary to be set aside as a nature preserve. Griffith Woods is classified as a Special Protection Natural Environment Park because of its overall environmental sensitivity and significance. Griffith Woods has one of only two large stands of White Spruce in The City’s park system. The moisture combined with protection in the valley from drying winds has allowed for the growth of a mature White Spruce forest. 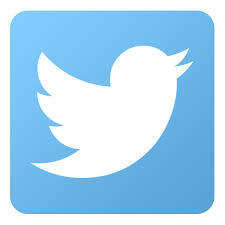 In some areas the forest is extremely dense resulting in very little undergrowth on the forest floor. Because the Elbow River is a wild river and still experiences frequent flooding, there is a thick growth of Balsam Poplar which require flooding for regeneration. 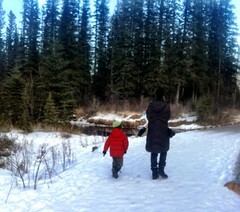 We went out on New Year’s Day for a visit and met runners, walkers, hikers and families on the trails. 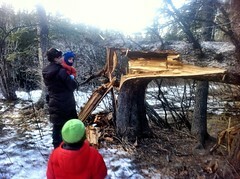 If you like to geocache in Calgary, you’ll love Griffith Woods and it’s dozen caches.